Lithuania’s 2017 WAHO Trophy was awarded to the grey mare Brite, bred at Vilnius Stud by the leased Polish stallion Grafik (Eukaliptus/Gaskonia) out of the Vilnius-bred mare Balande, who is by Bosas, Lithuania’s first WAHO Trophy winner, and out of the Tersk-bred mare Bagrianaia. 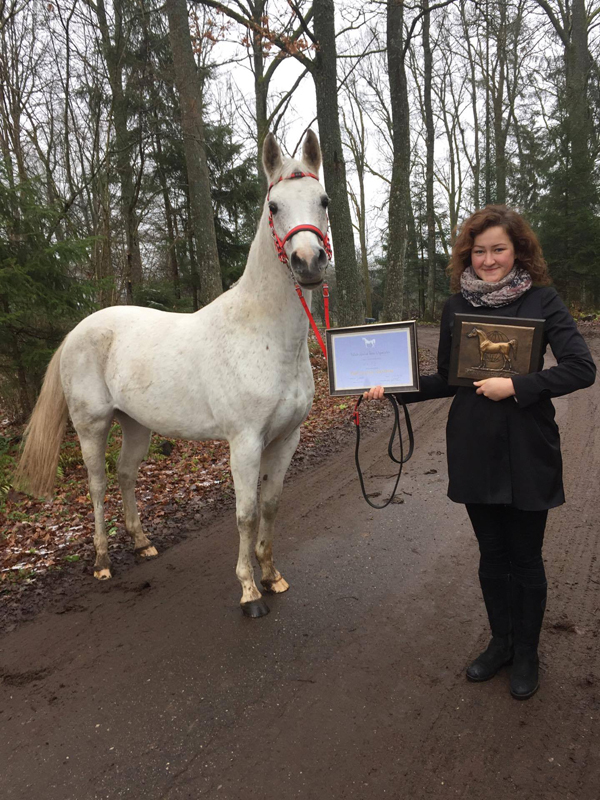 In spring 2017, with her current owner Mrs. Gabriele Mateikaite, Brite began to compete in endurance riding and has shown very good results during her first season. 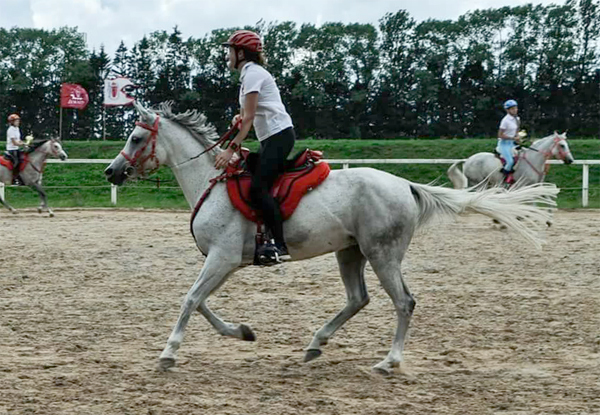 National Endurance Riding competition in Kernave (7 July 2017), 58km – 1st place.